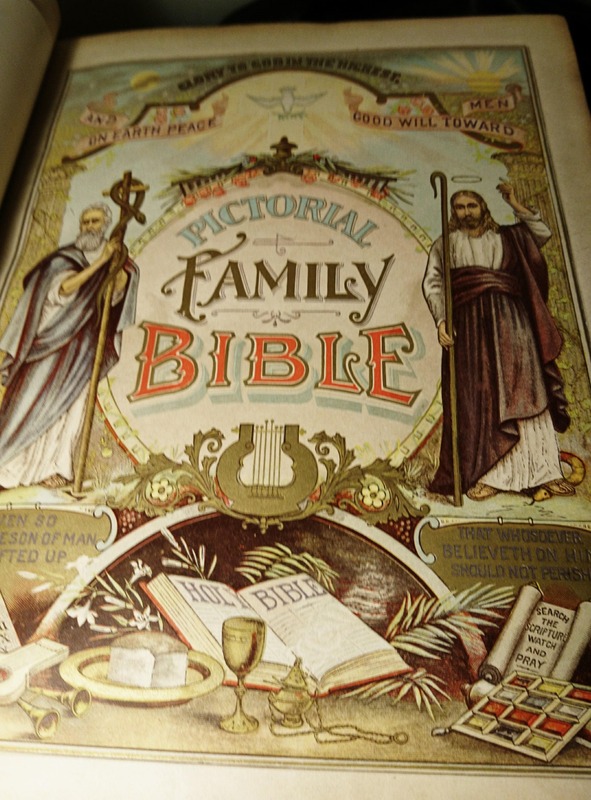 Absolutely huge Victorian family Bible. 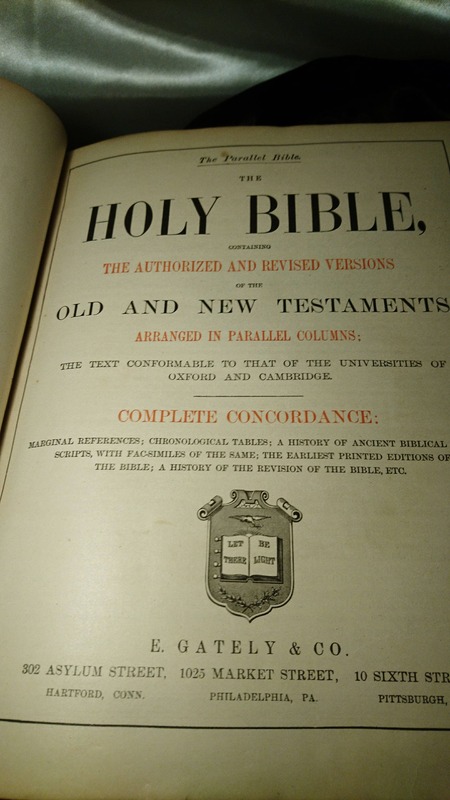 This is the parallel Bible containing the revised and authorised versions of the old and new testament in parallel columns, some beautiful colour plates and numerous Dore prints, boasting 2000 illustrations throughout. 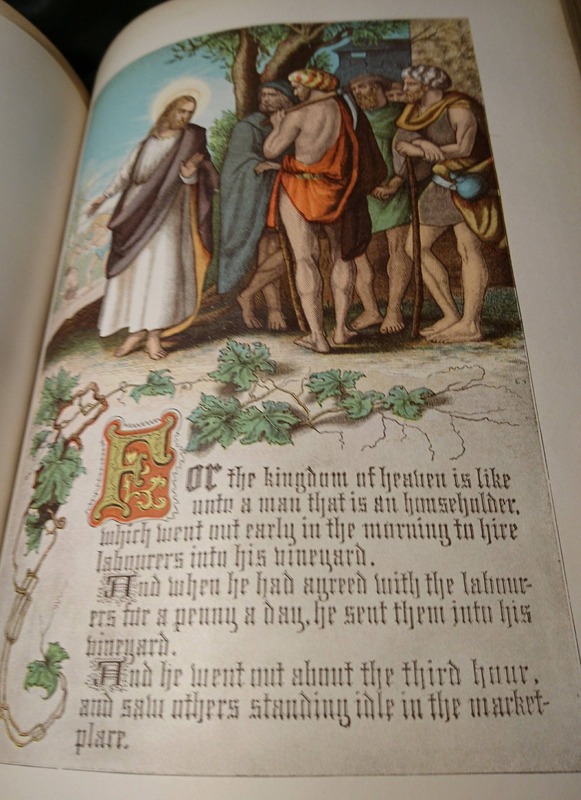 Published Circa 1892-95 by E Gately and Co. 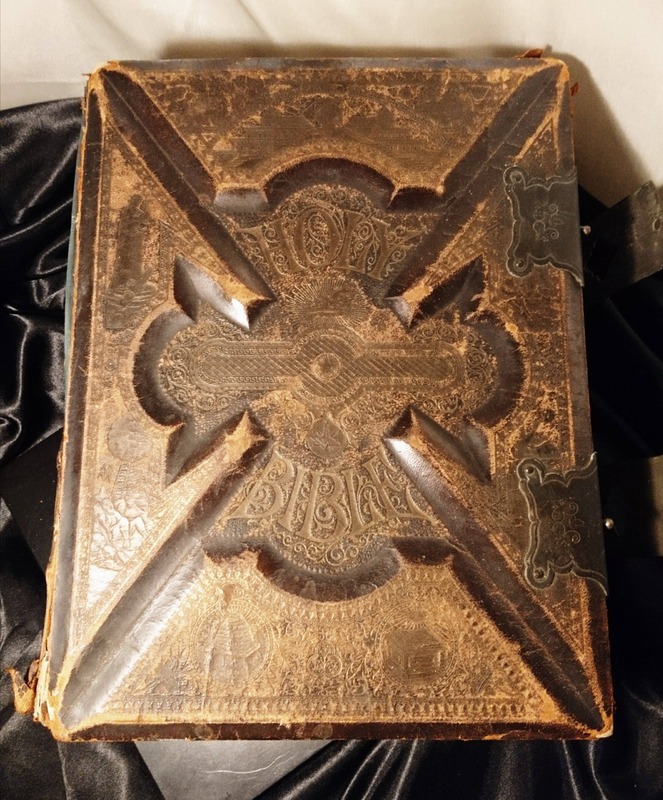 Incredible thick leather and wood binding with heavy embossed design and what was originally gilt lettering now faded to a bronze, many of the frontispieces for the illustrations are still in tact. 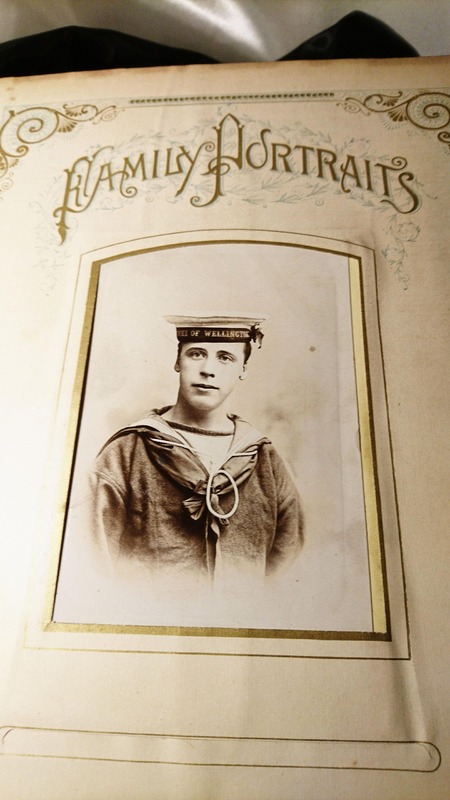 There is still some gilt lining of the pages. 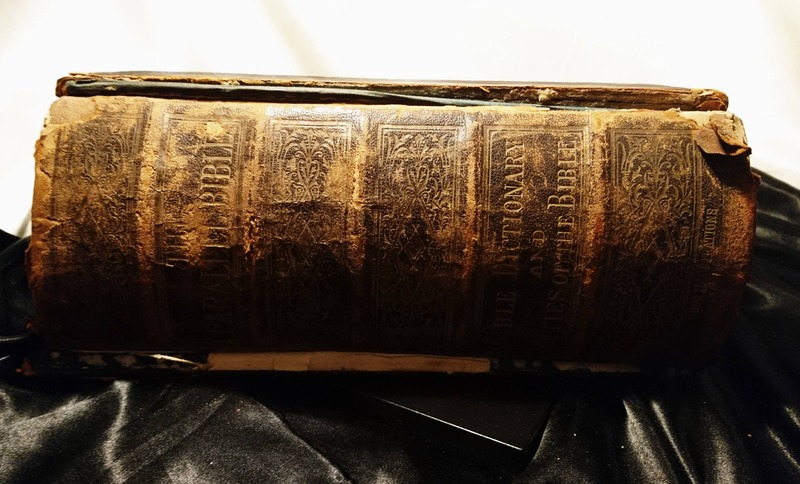 The spine has completely detached from the front and back covers and these will need to be completely restored to reattach them, the lettering could do with regilding also but this isn't necessary. 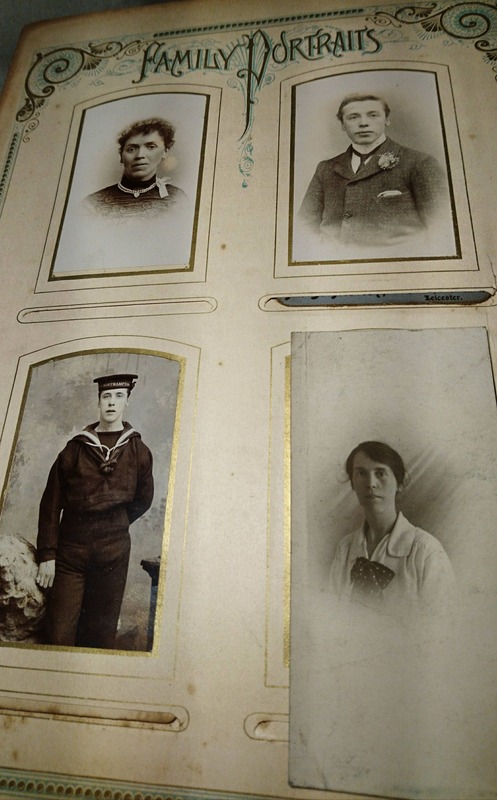 Internally the pages are nice, there is a fantastic family portrait section at the rear with some of the family members being members of the HRH Duke of Wellington naval branch. 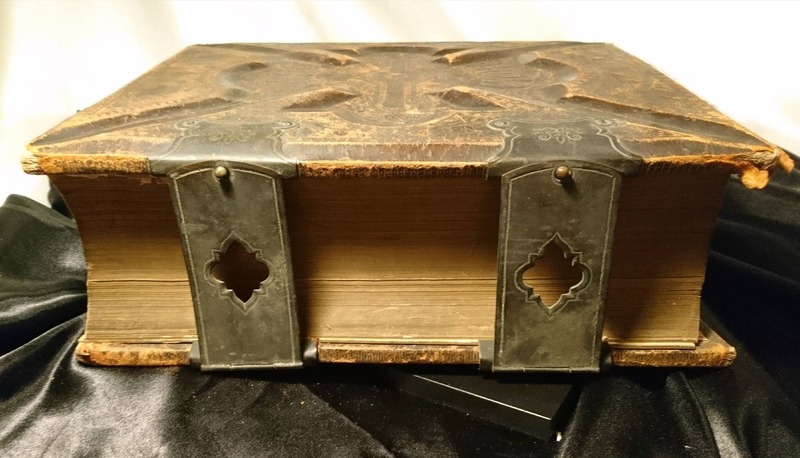 There are heavy metal clasps attached to hold the book closed. 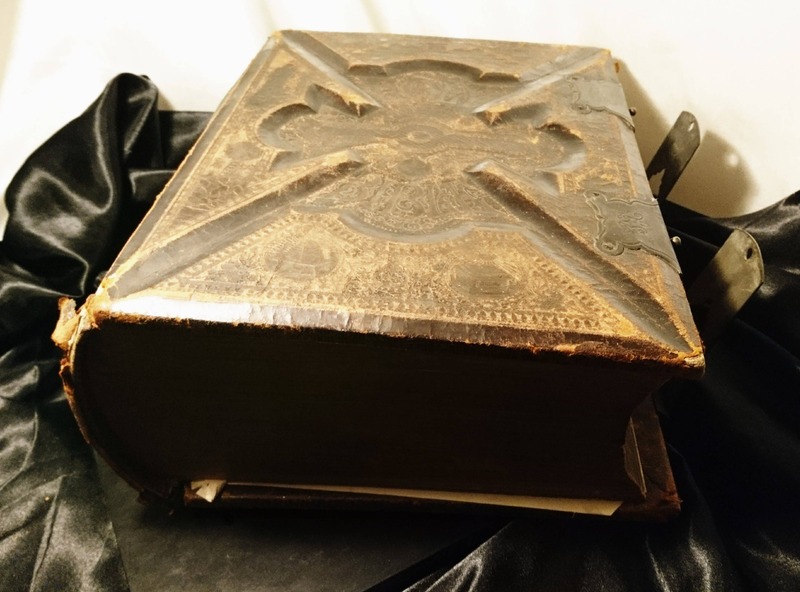 A fantastic and beautiful bible that would love to be restored and loved once again, sold as requiring restoration, if you need more photographs please drop us a message, price reflects the condition. 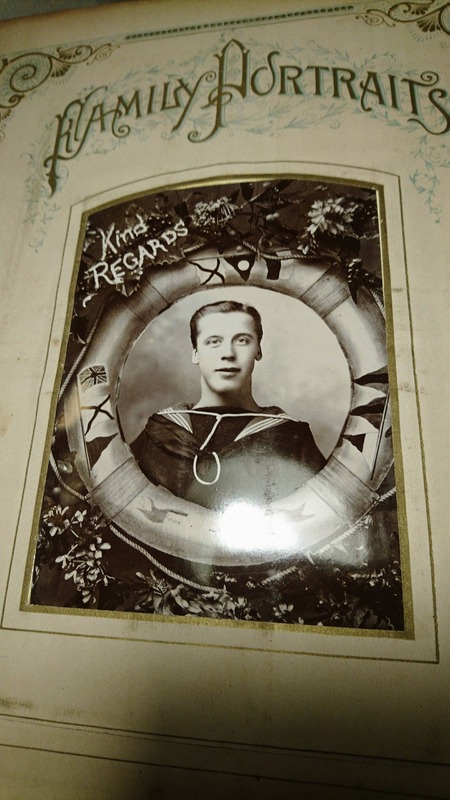 The gilt lettering to the cover has faded. If postage and packaging costs less than the amount on the listing we refund the difference, it is very large and weighs well over 2kg, I have sent these internationally previously and it costs a flat rate of £85 to most countries.